Here lie former pen and ink pairings. You will not be forgotten. 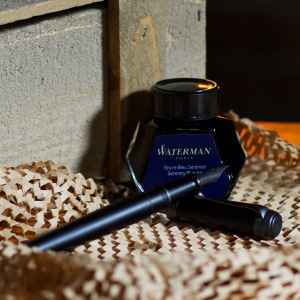 On January 18, 2019 I filled my Black Aurora Talentum (Extra Fine) with Waterman Serenity Blue. The pen was emptied and cleaned on February 9, 2019 (2 months ago). 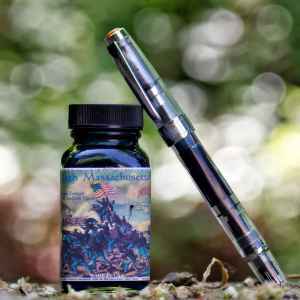 On April 25, 2018 I filled my Clear TWSBI Diamond 580 (0.4mm CI) with Noodler's 54th Massachusetts. The pen was emptied and cleaned on January 21, 2019 (3 months ago). 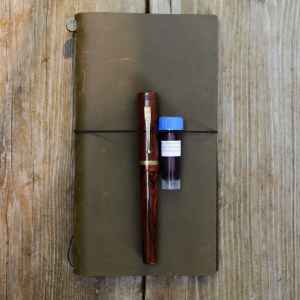 On June 4, 2018 I filled my Anthracite Pelikan M805 (0.5mm CI) with Diamine Earl Grey. The pen was emptied and cleaned on January 15, 2019 (3 months ago). 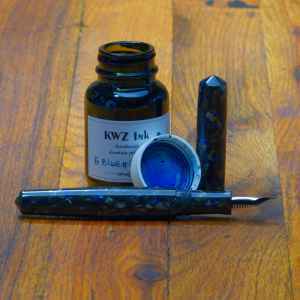 On January 2, 2018 I filled my Tibaldi Impero Celluloid Scriptorium Pens Idyll (IM) with KWZ IG Blue #6. I refilled it 5 times; the last refill was on December 18, 2018 . The pen was emptied and cleaned on January 15, 2019 (3 months ago). 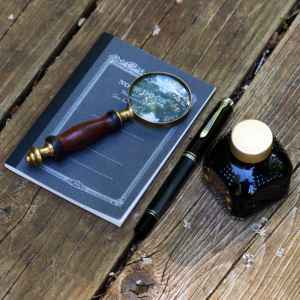 On June 22, 2018 I filled my Red Ripple Scriptorium Pens Custom (IM) with Diamine 150th Anniversary Burgundy Royale. The pen was emptied and cleaned on January 13, 2019 (3 months ago).